I apologize for not posting in a while. Life continues to be very busy as I get ready to take my boards next week, but I wanted to take a few minutes to post a quick summertime favorite before the warm weather starts to fade. 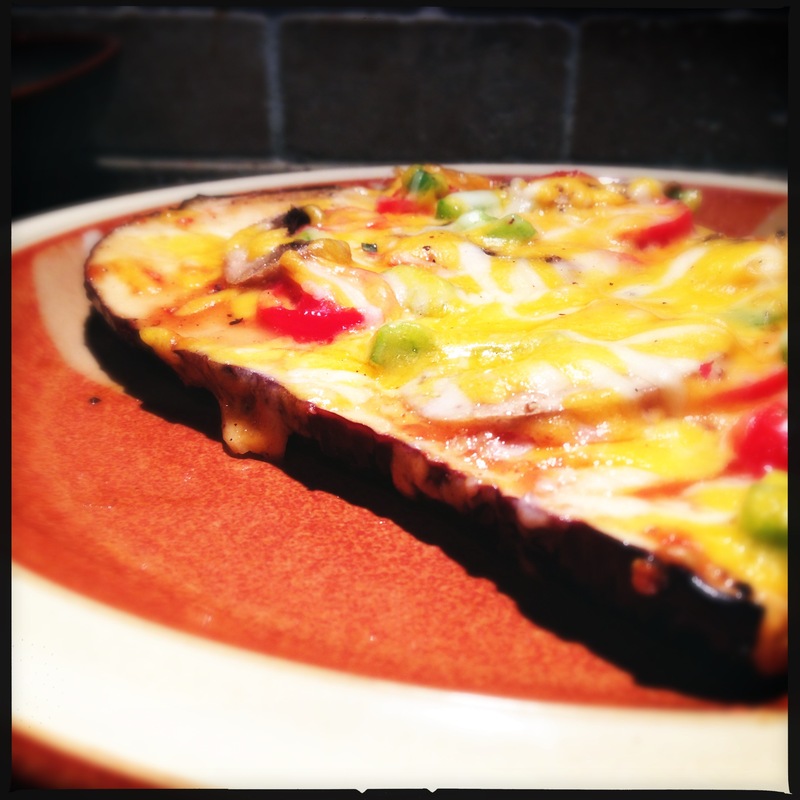 So today, we’re talking about grilled eggplant pizza. 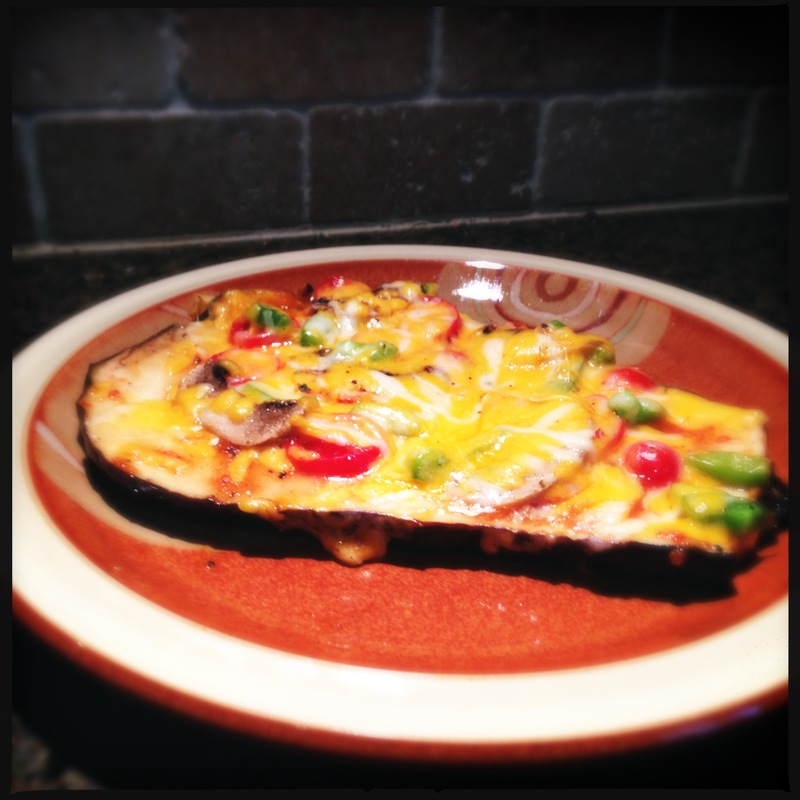 This is not, however, a pizza with grilled eggplant, but rather a pizza made on an eggplant and grilled. 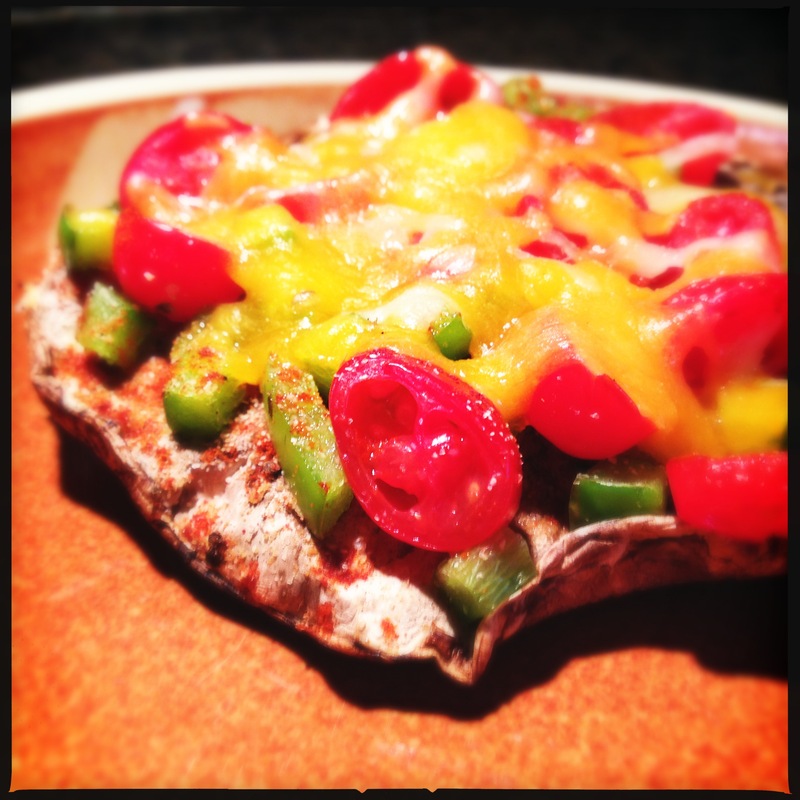 And, it is delicious, nutritious, easy and quick! On top of it all, it’s vegetarian, which is great when I have vegetarian guests as I don’t have to make separate dishes for everyone. 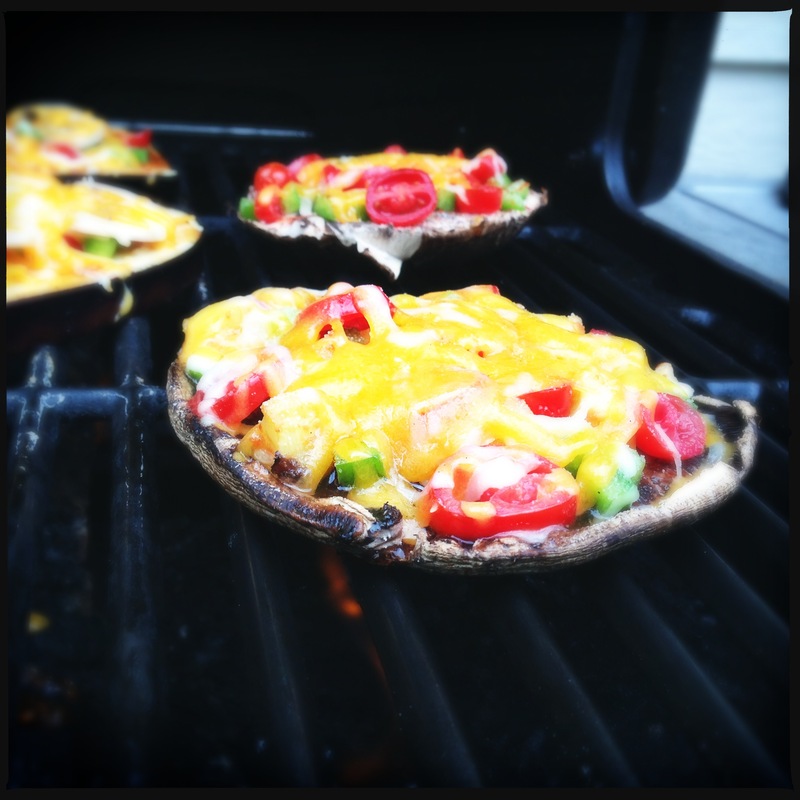 These can be made with eggplant or large portabella caps as the “crust” for the pizza based on your personal tastes. I like both, so I typically make both. 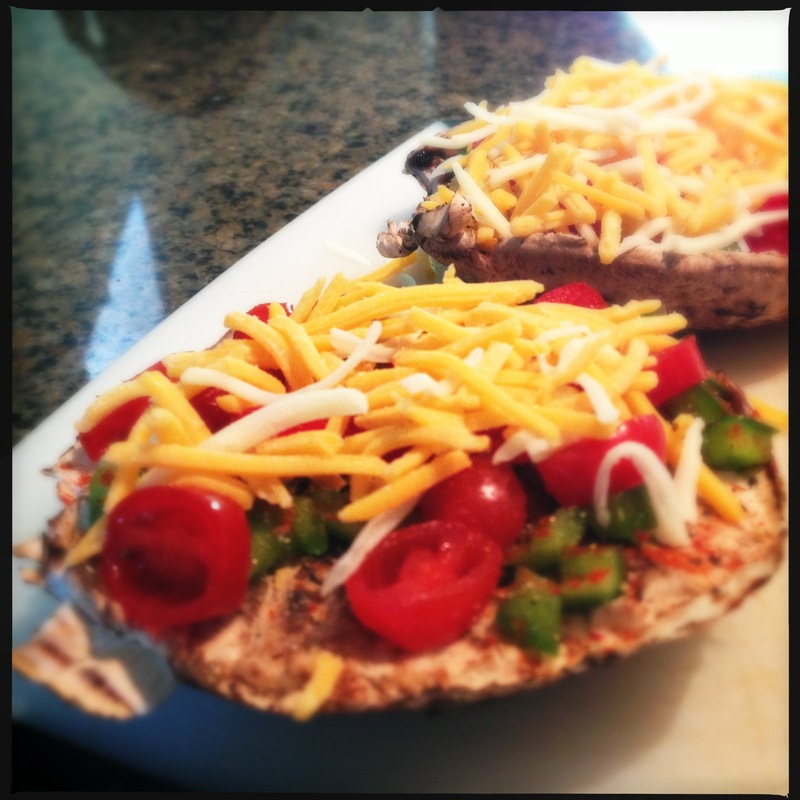 If using an eggplant, slice lengthwise into 1/4″ to 1/2″ thick slices. If using portabella caps, remove the stems and remove the gills if desired. I don’t always remove the gills, but it does make for a simpler crust to fill. While you’re prepping the pizzas, preheat your grill to a medium or medium-low heat. 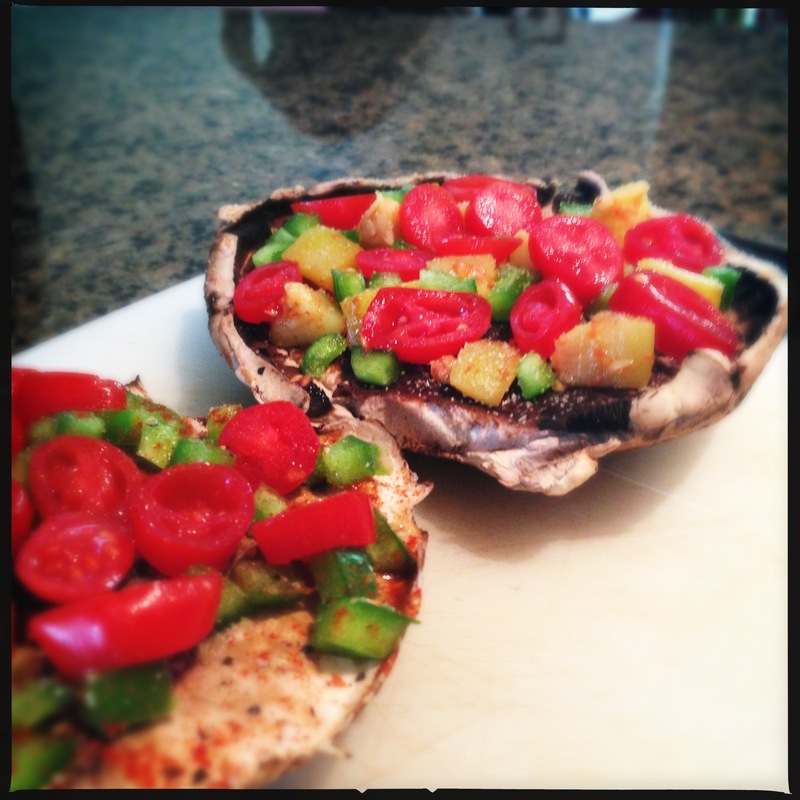 Lightly coat the eggplant or mushroom with olive oil. 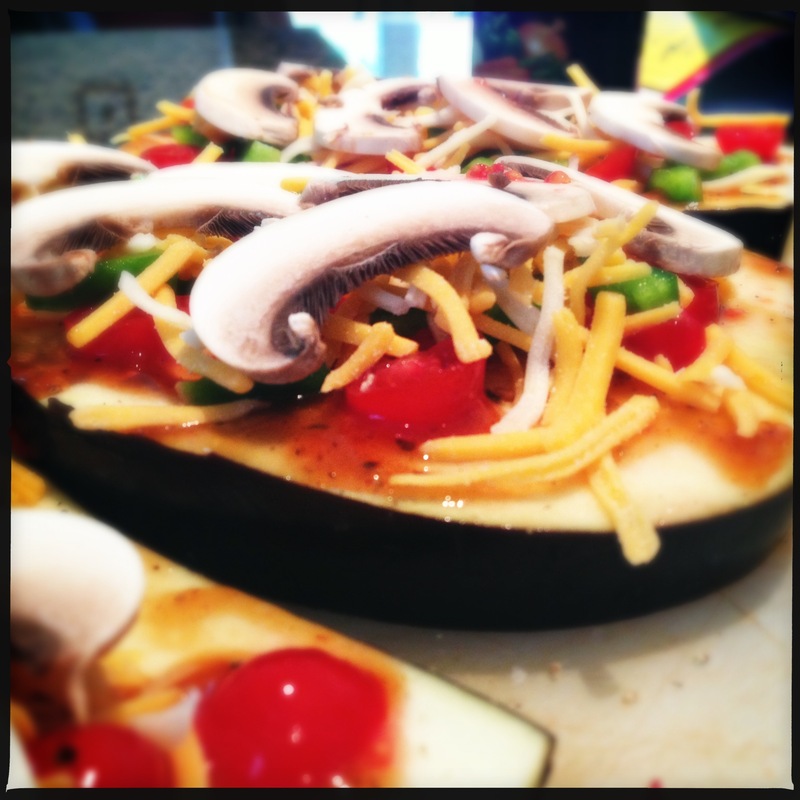 Spread a thin layer of sauce over the crust and then add any toppings you choose. The mushrooms got an extra dose of tomatoes to keep things moist and delicious. Once you have the toppings on, add some shredded cheese. I used a pizza blend consisting of cheddar and mozzarella, but any good melting cheese will work just fine. For the eggplant version, I also added some sliced mushrooms. When I put mushrooms on pizza, I always put them on top of the cheese so that they get that nice roasty flavor. The rest of the ingredients I tend to bury in the cheese so that they all melt together. 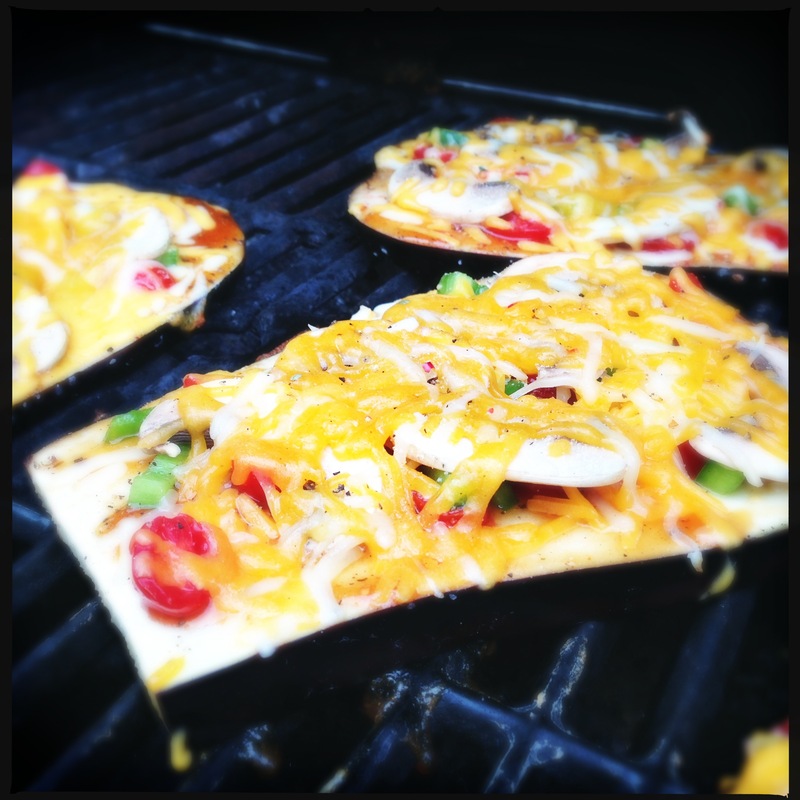 Once you have them topped as you like them, take them out to the grill and gently place them on the grate. Since there’s no raw meat products to worry about, cooking time is very open ended. Cooking over a lower heat is key because you want a heat low enough that the mushroom or eggplant doesn’t burn up before the cheese melts. Depending on your grill, these shouldn’t take more than 10 minutes, and probably will be done in about 7-8 minutes. The eggplant doesn’t exactly hold up to being picked up and eaten by hand, but it can be easily cut into bite sized pieces for little hands. Grown-ups will definitely want a fork and knife for this one, though. It’s not often that I find myself making a vegetarian dish, but sometimes something is so delicious that meat just isn’t necessary. This is one of those dishes for me – it’s vegetarian simply because it doesn’t have any reason not to be. Enjoy! 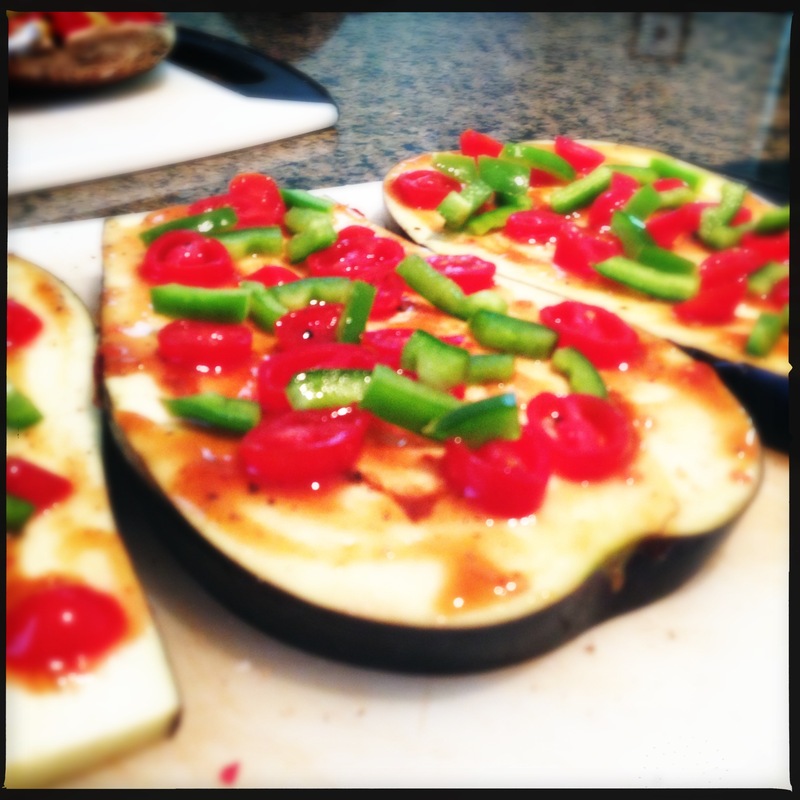 I love the idea of using eggplant (we call it aubergine) as a base. Looks delicious! It works great sliced into little rounds as well – especially nice if you want to make different topping combinations as the rounds make smaller servings.